→ Vital Greens contains 76 wholesome, natural ingredients that synergistically work to support the liver, restore and promote digestion, support the nervous system, alkalize the body, and boost the immune system! → Being so high in nutrients and enzymes, Vital Greens is considered a complete Super Food! → Vital Greens is made from natural food sources and is Vegan, Dairy and Gluten free! → What makes Vital Greens so great is that it contains potent, powerful Super Greens (spirulina, chlorella, wheat & barley grass), essential vitamins, minerals, herbs and protein + MUCH more! → Vital Greens is a great all-in-one solution for improving physical health and mental acuity! → It comes in a delicious powder for easy consumption! Rich with nutrients from whole-food sources, such as vegetables, fruits and minerals, Vital Greens promotes health by providing enzymes, fiber, antioxidants, amino-acids, fatty acids, sterols, essential vitamins and minerals, herbs, protein, Super Greens and pro-biotics. Because Vital Greens contains so many nutrient-rich Super Foods, it is considered to be a far superior alternative to synthetically manufactured vitamin pills typically seen on the market. The nutrients in Vital Greens are also absorbed far better than synthetically manufactured vitamin pills. Developed by two Sydney naturopaths and medical herbalists with a combined total of 26 years in the health industry, Vital Greens was designed to meet the needs of people wanting to fulfill their daily nutritional requirements and cleanse and energize their body in one great-tasting, convenient formula. What Can Vital Greens Do For Me? Detoxification/Cleansing – Vital Greens contains herbs and Super Greens that gently detoxify and cleanse the liver and colon. Energy – With its combination of powerful Super Foods, Vital Greens provides a day full of energy. Forget about sluggish feelings after lunch or in the morning, Vital Greens makes you feel alive and awake. Increased mental power – Vital Greens includes ingredients that help you think clearly and increase your brain power, such as Lecithin, Rosemary, Gotu Kola and Co-Enzyme Q-10. WHAT MAKES Vital Greens Different? Supplements are often used to substitute poor eating habits, e.g., eating fast food and high sugar foods. Furthermore, the added stress, lack of sleep and other barriers we face on a day-to-day basis make it hard to live a healthy life. Recognizing the need for change is one thing, but actually going out and acting on that impulse is another. With so many supplements that perform different tasks it is confusing and often expensive to rely on the various brands and products offering the same things Vital Greens does in one product. Vital Greens is the first option in the world to offer the largest variety of Super Foods, Super Greens, herbs, and nutrients in one easy-to-consume powder. This is what makes Vital Greens stands out above the rest! Vital Greens can also be mixed in with your favorite foods and drinks, creating a delicious, quick way to stay healthy and energized. If you would like to review Vital Greens for us, Contact Us. Don’t Have Time For Breakfast? Take Vital Greens! Breakfast is the most important meal of the day and without it we lose the ability to function properly for the remainder of the day. Our cognitive abilities decrease, while our primary motor skills suffer. With the chaos of our world and the busy schedules that people live, it is difficult to put together a well-balanced breakfast with the daily requirements of protein and other essential nutrients. Ideally, Vital Greens should be used in addition to a healthy breakfast; though it can serve as a last resort too. Vital Greens offers the vitamins, minerals and nutrients that a typical breakfast provides. It is an excellent solution for ensuring one gets all the nutrients one needs to start the day, and it tastes great too. If you decide to skip breakfast (NOT recommended), than at least you can ensure you are not depleting your body of nutrients by taking Vital Greens for breakfast. In this instance we also recommend Vital Protein. 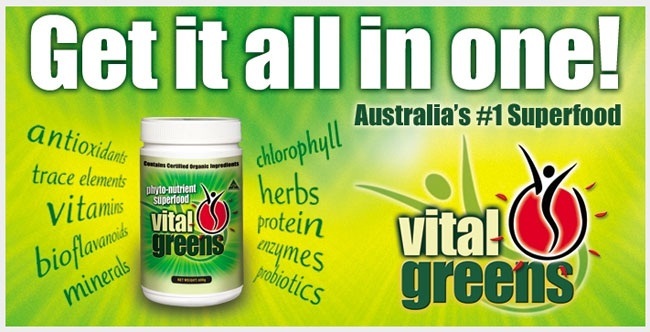 The Super Foods and ingredients that are in Vital Greens would be very expensive if you bought them all separately. It would cost you up to $250 a month! With Vital Greens you pay only $49.30 a month (for 1kg), meaning that you are only paying $1.65 a day for a massive dose of nutrients and energy boosting ingredients. This is not even the cost of a cup of coffee, yet you get a many times more benefit than you get from a cup of coffee. Are Any Other Vitamins Required when taking Vital Greens? Vital Greens was designed to provide you with every nutrient you will need to get you through the day and prevent nutritional deficiencies. If, however, you choose to take other vitamins or supplements while taking Vital Greens, be sure to check first with a qualified health professional first. Vital Greens has no iron but it does help the body to absorb iron, so Vital Greens is beneficial to take with an iron supplement. Can Everyone Use Vital Greens? Vital Greens is recommended for anyone interesting in maintaining a healthy lifestyle, except for children under the age of three. Otherwise the whole family can reap the benefits of Vital Greens. It is especially useful for vegetarians, vegans and people with special diets. We recommend Vital Kids for children. Are Natural Sweeteners Used in Vital Greens? The sweetener used in Vital Greens is called Sweetose™, which is created from Thaumatin. This sweetener is naturally extracted from the West African Katemfe fruit, leading to a natural, less artificial tasting supplement. For a sweeter, favorable flavor, we recommend using only 1/2 a glass of water with two tea spoons of Vital Greens. Are All The Ingredients In Vital Greens Organic? Many of the ingredients used in Vital Greens are organic; however there are some ingredients where it simply isn’t practical to use organic ingredients, so some ingredients are not certified organic. 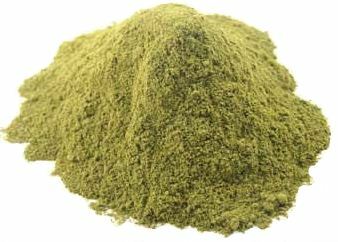 However, the apple powder, flax seed powder, barley leaf powder and alfalfa powder are all certified organic ingredients. IS VITAL GREENS SAFE FOR CHILDREN? Yes, Vital Greens is safe for Children four years onwards; however the recommended dosage is 2.5gm per day. After the age of six the dosage can be increased to 5gm per day. One note is that some children don’t take to the taste of Vital Greens, so we recommend mixing it with a non-acidic juice or milk for better taste, or use only half a glass of water. We recommend Vital Kids for children. Is Vital Greens Safe For Women Who Are Pregnant or NURSING? We highly recommend talking to a certified health professional before using Vital Greens while pregnant or breastfeeding. However, we typically do not recommend using Vital Greens during this time. can I take Vital Greens WHILE ON PRESCRIPTION MEDICATION? Once again, please consult your healthcare professional before taking Vital Greens during a significant diet change or before or whilst taking medication. Vital Greens should be used within 90 days of opening as it contains probiotics which need to be stored at low temperatures. To maintain freshness, refrigerate after opening and use it within the first 90 days. Is Vital Greens Safe For Gluten, DAIRY AND Wheat Free Diets? Yes, it does not contain any wheat or gluten or dairy, making it suitable for those diets. It has also been commonly used by vegetarians, vegans, corn free and dairy free diets. It is not tested on animals. What About The Wheat Grass In Vital Greens? does VITAL GREENS contain GLUTEN? Vital Greens contains wheat grass; however because the wheat grass is cut when it is young it does not contain any gluten, which is only present in the wheat kernel after it has grown to full size. I recommend Vital Greens for a handful of reasons. First of all, it gives me all the vitamins and minerals I need in order to have a productive day. Instead of using multiple supplements with different functions, I am able to use one supplement that provides me all the vitamins and minerals I will need for the day. This helps with saving time, since I am always moving around and on-the-go, I am able to quickly take Vital Greens and then get going. Not only that but I have noticed that I feel more vibrant and energized throughout the week when taking Vital Greens. My digestive system is starting to improve and when I go to the gym I feel more energized and ready to get a great workout. I recommend Vital Greens to everyone who is looking for a healthier, more energetic lifestyle. K. Crosby. Brisbane. I have always been cynical with health supplements that claim to energize your lifestyle and make you feel better. However, after taking Vital Greens for about three months now, I have been pleasantly surprised. I have managed to avoid every flu and gastro bug that I have encountered while taking Vital Greens. I also have a very busy schedule, always meeting people and traveling, but I have been able to get through everything without ever feeling tired. I’m impressed and have been recommending Vital Greens to everyone I know. J. Blackshaw. Sydney. I have been taking Vital Greens for about a week and I feel great! I have more energy, I feel better throughout the day and I even sleep better throughout the night. My skin is looking better as well, so I am recommending it to everyone I know. S. Krishna. Melbourne. As a vegan it can be difficult finding foods that provide all the nutrients that my body needs. 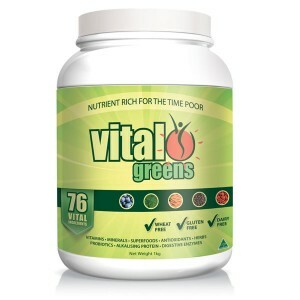 I am very satisfied with Vital Greens, as it has made a huge impact on my life. Thanks. S. Barlow. Perth. STILL NOT CONVINCED in the power of vital greens? 24 Reasons to take Vital Greens!